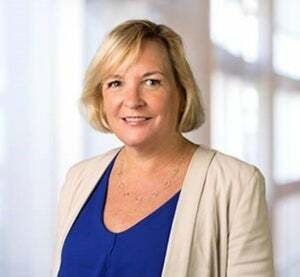 Joyce Mullen became president of Global Channel, OEM and IoT at Dell EMC in November, facing the task of figuring out ways to get the company's partners worldwide to sell across its lines of business and engage users with high-value converged infrastructure technology. When Dell acquired EMC and subsidiaries including VMware in 2016, it was clear that a successful merger would require getting channel partners to cross-sell a broad portfolio of products. Given Dell's legacy in direct sales and EMC's reputation for having an aggressive direct sales force of its own, it was not necessarily a given that it would work out. The company launched the Dell EMC Partner Program in February last year, and moved to reinforce new rules of engagement that were laid down to prevent Dell and EMC partners from getting into channel conflicts. Two months ago, at the year anniversary of the partner program, Mullen noted that rules-of-engagement infractions issues had declined drastically quarter over quarter. But the main goal is getting partners to gain competency selling products from across the merged company's lines of business. The company has also had to shore up some weaknesses. Dell EMC lost market share in worldwide enterprise storage in the fourth calendar quarter of 2017, compared to a year earlier, according to IDC. In January, the company announced it was hiring 1,200 new storage sales specialists. Mullen talked to the IDG News Service in advance of the company's Global Partners Summit, starting Monday in parallel with Dell Technologies World in Las Vegas. Joyce Mullen is president of Global Channel, OEM and IoT at Dell EMC. IDG: Can you give some background on what’s been going on prior to the partners summit, since you've taken the global channel job? Mullen: We’re basically celebrating the one-year anniversary, we did that in February, of putting together the Dell-EMC partner program, which is really merging two channel programs into one -- what we’d like to say -- world class organization. 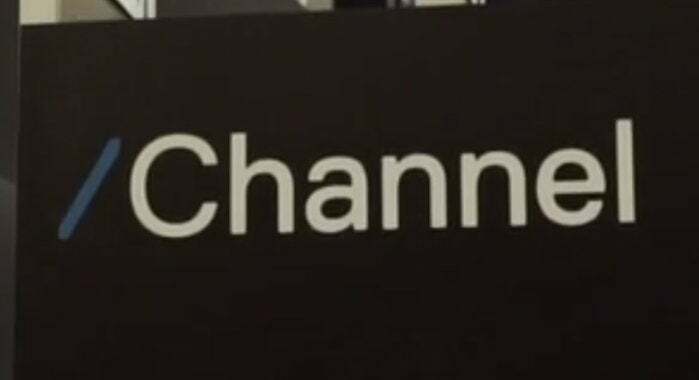 The Dell Technologies channel business is a $43 billion business. The basic tenets of the program are around ‘simple, predictable and profitable,’ and that has actually been a mantra at EMC for years. When I jumped into the role three or four months ago it was clear to me that we had a very solid foundation. The feedback from partners and customers and the response to the combination of the companies has been really good and what we started to take a look at when I came in was how can we continue to refine and improve the program to make it even more simple, even more profitable for partners when we’re aligned on our goals and objectives. IDG: The ‘simple’ and ‘profitable’ aspects are pretty obvious. What do you mean by ‘predictable’? Mullen: There’s a bunch of different elements and levels of predictability – predictability around sales engagement; predictability around what rebates will look like, so our partners can plan their businesses; predictability around MDF (marketing development fund) earnings, so they can plan marketing events. One of the things around market development funds in particular is that the bulk of the industry has moved towards programmatic market development funds and that’s less predictable than earned MDF obviously so we’ve actually split it. We have both earned and programmatic. IDG: What’s the difference between programmatic and earned? Mullen: Programmatic is proposal based; with earned MDF you accrue it as you sell more, so it’s basically a percentage-based accrual. The proposal-based is focused on specific programs where the partners basically put in a proposal to us and say hey I want to run this program and we either accept it or we don’t, and we do that on the basis of likely ROI. IDG: When you talk about lines of business are you talking about selling products more as solution sets? Mullen: Specifically this metric we use is that we track how many partners are selling storage and servers or data protection and client products so we have a product centric point of view but you raise a really good point. The future is absolutely to move toward more solutions-oriented selling and really help customers transform their IT -- transform their security solutions, their security capabilities, really transform their workforce or in some cases transform their entire businesses if you’re really talking about digital transformation -- so we are migrating more and more towards a solution-based approach but right now we measure it as product category. IDG: What’s happening at the partners summit? Can you talk about what you’re announcing? Mullen: We have about 6,500 attendees coming to DTW and we’ll have about 5,000 of those actually attend our Global Partner Summit and we’ll have over 800 partner meetings and I believe over 600 technical leads attending training so we’re pretty happy about how that’s going, overall. We’re talking about a couple of key themes. One is that our our vision is really to be the biggest and the best partner program in the world. The “biggest” is pretty obvious but best is something that we’re trying to articulate with our partners and measure the way they would measure it and not the way we would measure it and that’s around growth for them – growth and profitability. So the things that we’re gonna talk about are the strategic imperatives to make that real. And the first one, as I mentioned earlier, is around that simple, predictable, profitable mantra. We’ve got work to do to make it easier for our partners to work with us and so when you really sift it all back we’re really talking about how do you make it easier for them to transact and engage and make money with us so they can focus on customers. I think Dell technologies is an amazing company and when you put that together with an incredible partner community is when magical things happen. The second imperative is to fast-track our partners’ ability to deliver these transformational solutions. At Dell we talk a lot about these four transformations – digital transformation, IT transformation, workforce transformation and security transformation. And so we’re really trying to figure out how to make it easier for our partners to work across the Dell Technologies brands. IDG: Can you give me a practical example of how you would make it easier for a partner to transact across brands? Mullen: What we’re talking about particularly for our top tier partners, our Titanium Black partners, is about a concierge type service where we’re gonna have the channel account leaders have access to all the different assets across the companies so they have a fast track into Pivotal or into security. Now, that’s for Titanium Black but that concept is gonna help us figure out how to learn how to make that more available to a broader set of partners. The second thing we’re doing is we’re trying to simplify the training – all these guys are still gonna have their own programs, but if you learn something about vRealize, you do some training on vRealize or VMware management or orchestration capabilities, you don’t need to take that training again in the Dell EMC program because we’ll honor that training, you only have to take the training once. And finally we’re gonna make it more profitable when you put the elements together than when you don’t and we’ll have financial incentives to support that. The third, I’d say longer-term vision and imperative, is to embrace and modernize and move new and emerging technologies like artificial intelligence and IoT. We’re talking about putting together some solution bundles specifically aligned around use cases that we know are repeatable -- for example cold chain management in a supermarket or predictive maintenance in a factory. As you probably know IoT is kinda complicated and there’s lots of different players and it’s really fragmented and it’s not super straightforward and standardized yet so we’re trying to help our partners figure out how to put together these solutions without requiring that they get supersmart about all of the all of the analytics packages out there so they pick the right ones or all about the infrastructure options so they pick the right ones. Mullen: Yeah we are launching an IoT solutions training and certification so that our partners can start learning about it but there’s gonna be a lot more to come on that. We’re gonna be announcing a channel only Dell EMC Ready Stack program; think about it as a reference architecture that puts together storage, servers, data protection, with options around open networking and of course multiple hypervisors and bare-metal containers and all sorts of stuff. It really sort of harkens back to certified reference systems and integrated systems, to the do-it-yourself guys – we just want to make it easier for partner to put these pieces together. IDG: The latest IDC figures I saw show Dell’s market share for enterprise storage, including internal storage in systems, down 11.4 percentage, year over year, in the fourth calendar quarter of 2017; and down 5 points in external enterprise storage. From your perspective, what happened, and how are you addressing it. Mullen: Well I think you’re going to be happy, or anyway we’ll be happy, when you see the Q1 results. We’re seeing enormous momentum on the top line, incredible share gains in servers, clients – and I think storage is the place where we have to focus our efforts more. And there has been a bunch of work we’ve done over the last year. I guess in November last year we actually streamlined and clarified our commissioning of our midrange product line, which helps a lot. We have added a bunch of partner enablement specialists and storage specialists in general to shore up our capabilities. I think when we were putting the companies together we didn’t pay enough attention to certain product lines and so we fixed all that in the back half of the year. And we’re really pleased with what we’re seeing in terms of turning that around. Marc Ferranti is the Editor in Chief of the IDG News Service, and is based in New York.